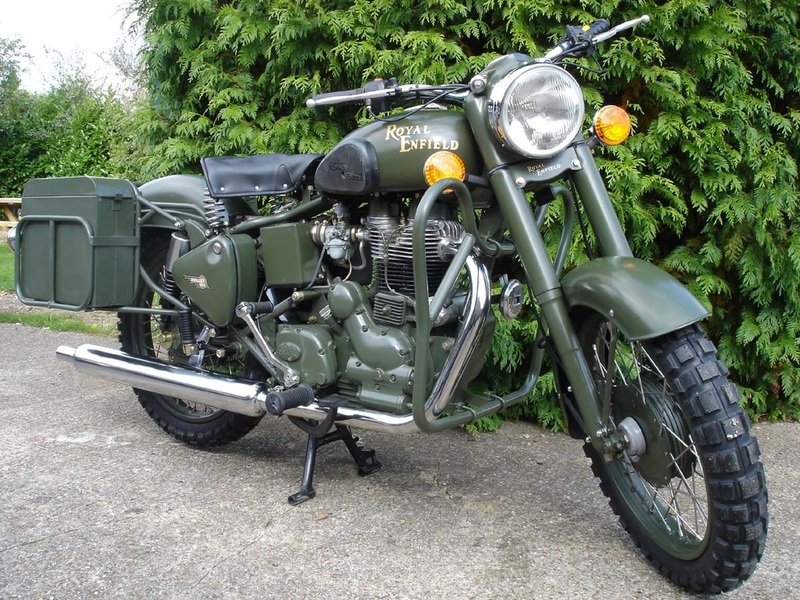 An old favourite, the original 'Army Bullet' featured semi-matt green paint, electric start, butterfly crash bars and removable metal ammunition panniers. 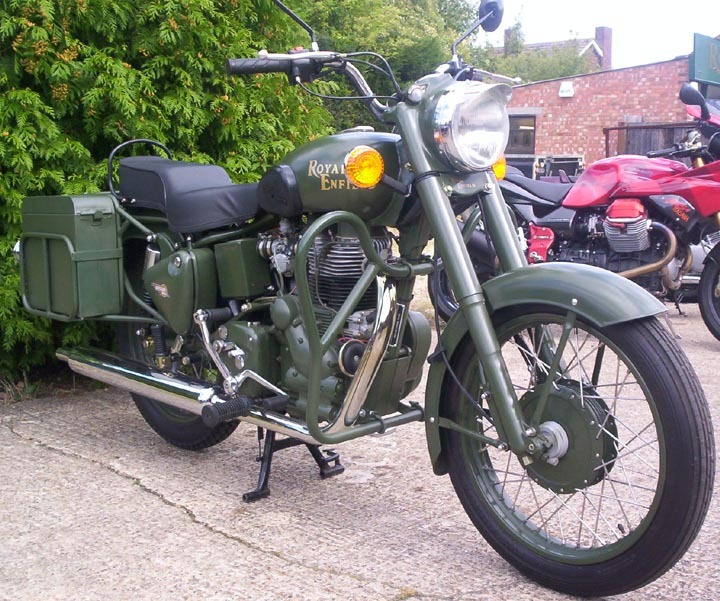 The rugged 500cc single cylinder machines were painted olive green (including the mudguards and engine casings) and fitted with a heavy-duty rack with “ammo box” panniers and crash bars - as supplied to the Indian Army. Royal Enfield opened a plant in Madras shortly after the Second World War to supply motorcycles to the Indian army. By 2008, the plant had supplied over 100,000 machines to the Indian army, and a further 25,000 to the Police.